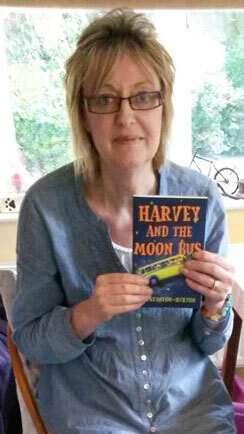 Jill Stanton-Huxton – Author of "Harvey and the Moon Bus"
I work as a Freelance Writer and Children’s Author from home. 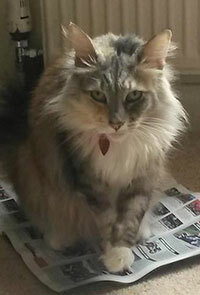 I am lucky enough to have an assistant – our gorgeous Norwegian Forest Cat, Kissa! However, work comes between her regular cat naps, eating her favourite treats and generally watching life go by sitting by my laptop and looking out into the garden. 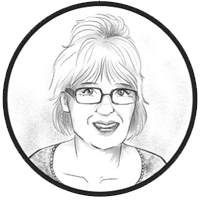 I will be blogging regularly about writing, nature, life in general – and of course Kissa! 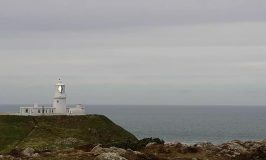 Oh, and I love taking photographs of anything and everything that catches my imagination. I’ve always had a passion for writing. 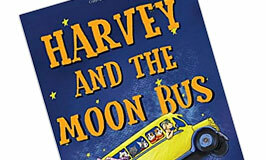 As a child growing up in the 1970s I could often be found in a quiet, shady part of our garden, reading books, writing stories and poems, engrossed in my own fantasy world. and disappears between the waves.